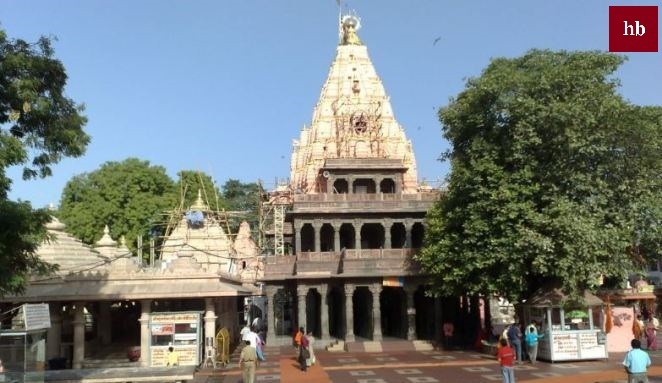 Mahakaleshwar Jyotirlinga is one of the main lord Shiva temples of Hindu religion and one of the 12 Jyotirlinga of Shiv Ji, along with it is also considered the most sacred place of Lord Shiva. 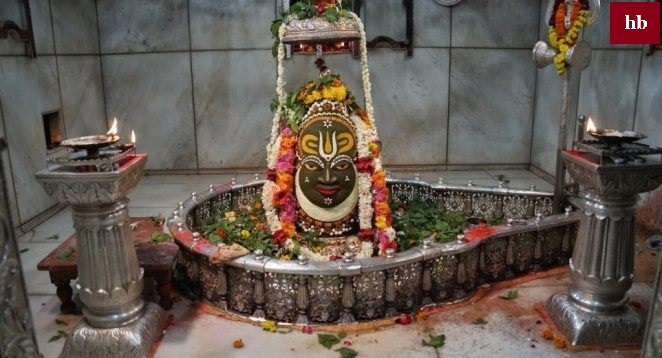 This Jyotirlinga is located in Ujjain city of Madhya Pradesh in India. 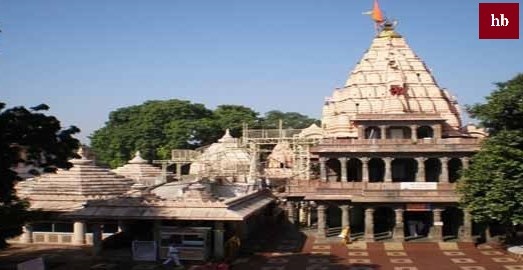 This temple is situated on the banks of Rudra Sagar Sarovar. It is said that Lord Shiva, the goddess Parvati, sits in this Lingam as a self-righteous, this Lingam (Shivling) has its own immense powers and this Lingam was established only by the power of mantra. The present temple was built in 1736 by King Peshwa Baji Rao and Chhatrapati Shahu Maharaj. After this, Srinath Mahadaji Shinde Maharaj and Shrimati Maharani Bai Jabai Raje Shinde had made many changes and repairs in it. During the time of Maharaja Shrimant Jayajirao Saheb Shinde Alijah Bahadur in 1886, many programs of Gwalior principality were organized in this temple. In the 16th chapter of Shiva Purana's "Koti-Rudra Sanhita", the story that Sutzhi describes in relation to 3 Jyotirlinga and Lord Mahakal, according to which, a Vedas used to live in a Vedic Brahmins in Avanti Nagar. They used to fire at their home and set fire to the rituals of Vedic Karmas. The devotees of Lord Shankar used to worship him in the form of scriptures by constructing the Parthiv Ling from day to day. Always remember the name of that Brahmin god, "Goddess", in order to attain perfect knowledge. The Vedantic himself was the exclusive devotee of Shiva Ji, which resulted in his rituals of worshiping Lord Shiva and his four sons. They were stunning and consistent with the parents' virtues. The names of those four sons were "Deewari", "Priyamedha", "Sanskrit" and "Suvrit". In those days, an Asura attacked the Vedas, Dharma, and Dharmatmas, which is called "Doshana" on Ratnamal Mountain. That Asura got the helplessness of Brahma. In the end, after the persecution of all, that Asura took a heavy army and attacked those holy and devoted Brahmins of Avanti (Ujjain). By the command of that Asur, four terrible monsters have appeared in the four directions in the same way as the fire of the doomsday. Those Brahmins, who believed in Lord Shiva even from their fierce fury, were not scared. When all Brahmin residents of Avanti Nagar began to panic in that crisis, those four Shivalak brothers assured them and said, "You should trust the devotees of Lord Shiva." After that, they worshiped four Brahmin-Bandhu Shiva Ji They is absorbed in their own attention. Dronacharya meditation with the army reached the Brahmins. Seeing those Brahmins, they started shouting that they should bind them and kill them. Those Brahmin sons of Goddess did not pay any attention to what had been said by the monster and kept mum in Lord Shiva's mind. When the evil monster realized that nothing is going to get results from our scolding, then he decided to kill the Brahmins. As soon as he took up arms to take the life of Shiva devotees, there was a dark look with the grave awl as well as in the place of the Parthiv Ling, which he had worshiped, and immediately appeared from that pothole, the awakened and awful form of Lord Shiva appeared. Lord Shiva, the destroyer of the wicked and welfare of gentlemen, became famous on this earth as Mahakal. They said to the monks - 'Hey evils! Only 'Mahaalal' has appeared for the killers like you. In this way, Mahakala Lord Shiva threatened the demons by consuming their own hands. They also killed some army of Demons and some them ran away. Thus Lord Shiva slaughtered the monster named Doshi. Just as when the sun comes out, the darkness is sorted out, in the same way after seeing Shiva all the monsters flee. Gods happily played dandrums and rained flowers from the sky. He was very pleased with those Shiva-bhakta Brahmins, who assured them, 'I am happy with you, Mahakal Maheshwar, you guys should ask for help. After listening to the words of Mahakaleshwar, those Brahmins, who were filled with devotion, humbly added their hand - 'Mahakal who punished the wicked Shambho You make us all free from this world-ocean. Lord Shiva You can always stay here for the welfare and protection of the common masses. Prabhu You always saves your devotees forever. ' Lord Shankar gave good will to those Brahmins and they were located in that pit to protect their devotees. Around three kilometers of that pothole, the land of Lord Shiva became the place of Lord Shiva. Such Lord Shiva became famous on this earth as Mahakaleshwar.